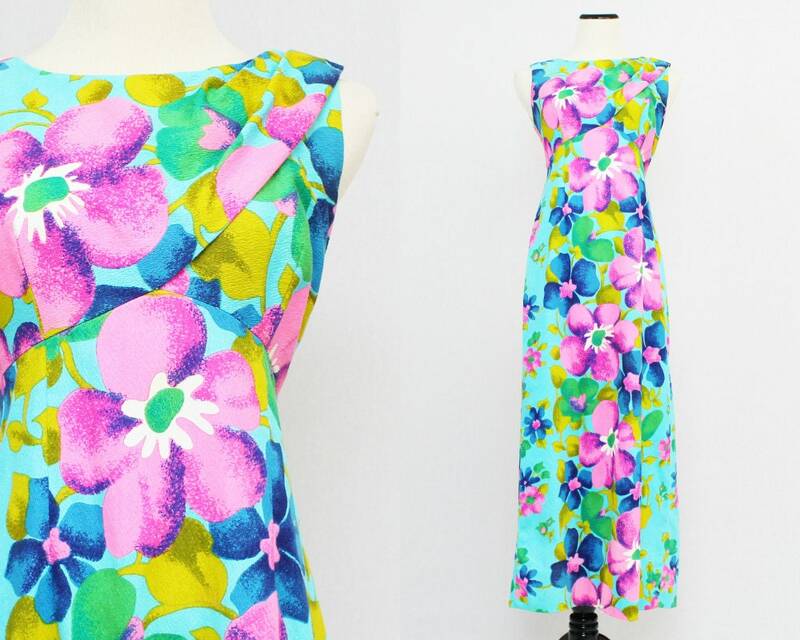 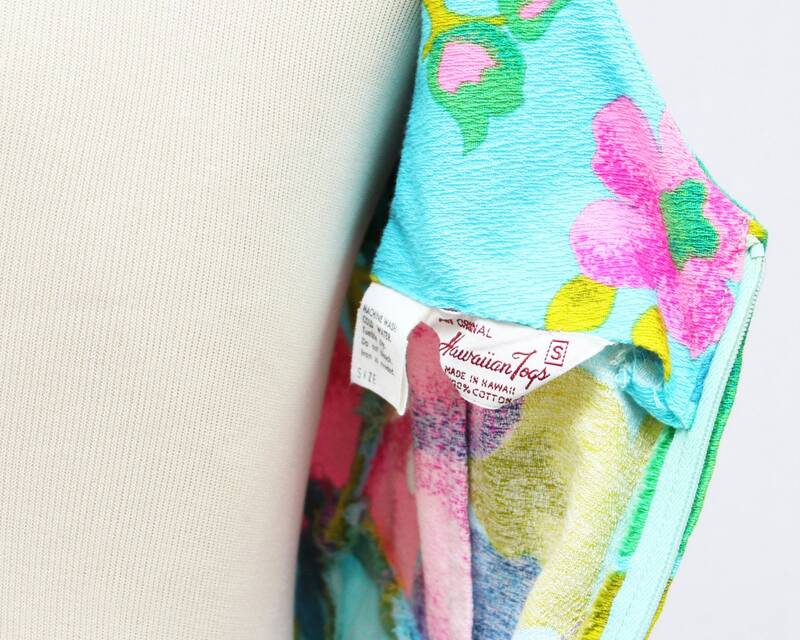 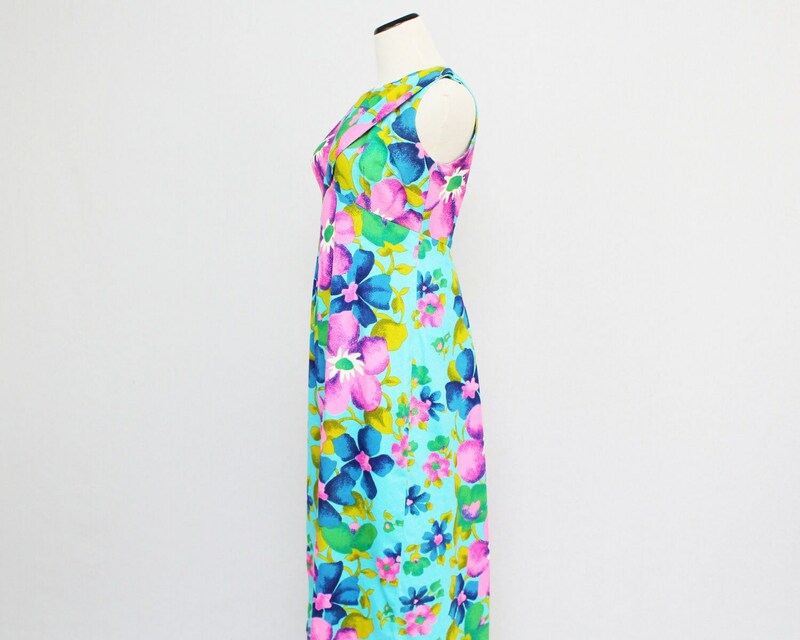 A gorgeous 70s Hawaiian Togs maxi dress in a bright turquoise, blue, green, pink, and purple floral. 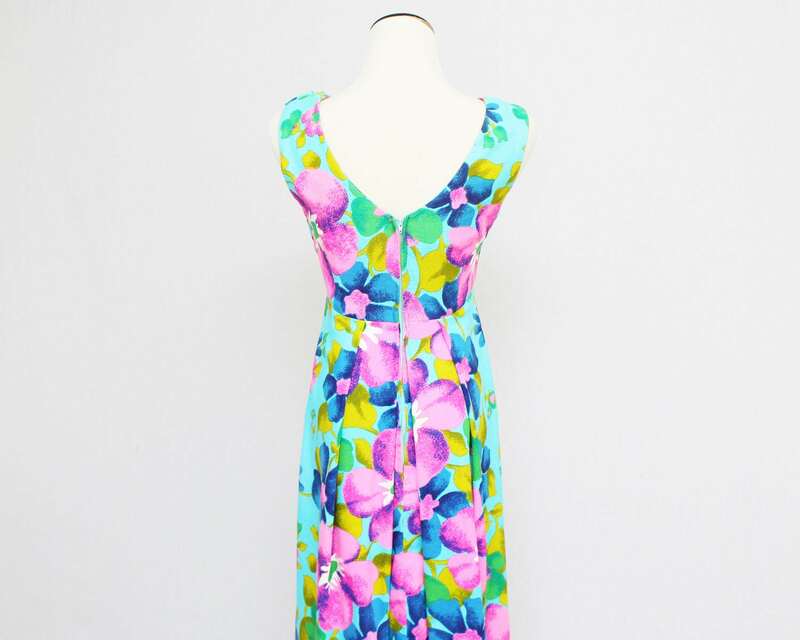 There are several small spots throughout the dress but the print is so vibrant they go unnoticed until inspected closely. 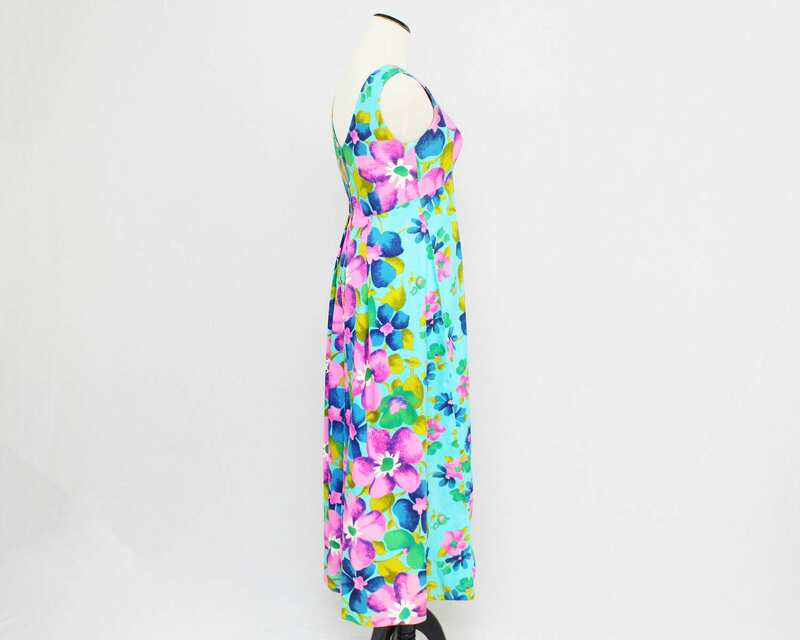 Zips at the back.